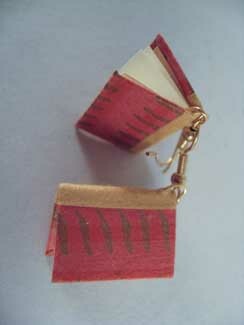 Abecedarian now offers book jewelry by PlayHouse Press to the online store. 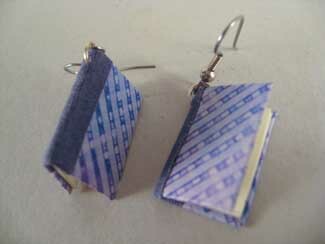 We have pins and earrings that are fully functioning miniature books handcrafted by Ann Frellsen. 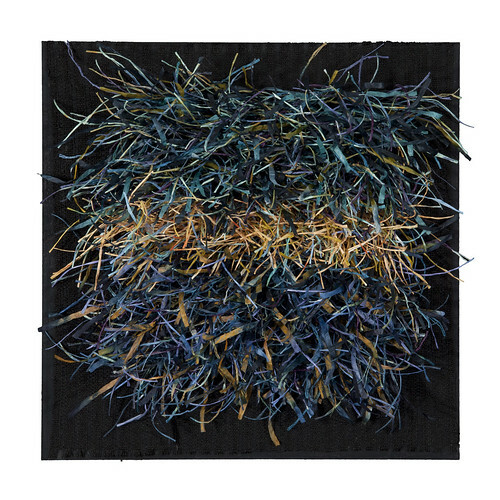 Ann Frellsen is a book conservator at Emory University Libraries with a studio arts degree in sculpture. 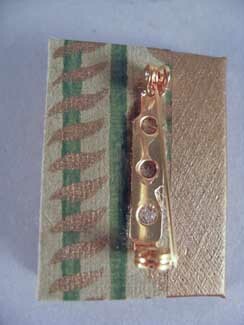 From her home in Atlanta, Georgia, Ann combines these talents and interests in the creation of book arts jewelry. 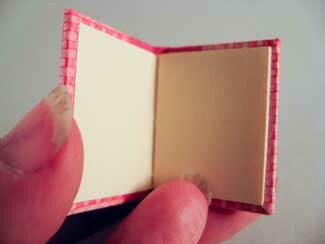 Each piece is a fully functioning miniature book, hand stitched and cased in to the cover. Ann uses high quality findings, papers, and cloth. She uses both vintage and contemporary marbled and paste papers. These charming accessories, created under her PlayHouse Press imprint, are visually fun and well-crafted. Although there are others creating similarly wonderful book arts jewelry, Abecedarian carries Ann’s work because of the consistently high quality of both materials and production and the affordable price range. Abecedarian Gallery is the only online market carrying these pieces.